The NYTimes had an article today exploring gluten intolerance named “Gluten-Free, Whether You Need It or Not”. It says that many proponents are claiming that everyone should avoid gluten containing foods and products. Most agree that people do feel better and get healthier but they are puzzled as to why. I have been eating gluten free for 27 years, as well as teaching others to do the same. My experience as a Nutrition Coach is that everyone feels better, loses weight, has far more energy and their health is improved dramatically. The debate goes on as to whether this is due to celiac disease, allergies to gluten or intolerances. I believe, as many others do, that it is simply that we are not designed to eat grains. “As with most nutrition controversies, most everyone agrees on the underlying facts. Wheat entered the human diet only about 10,000 years ago, with the advent of agriculture. The primary proteins in wheat gluten are glutenin and gliadin, and gliadin contains repeating patterns of amino acids that the human digestive system cannot break down. (Gluten is the only substance that contains these proteins.) People with celiac have one or two genetic mutations that somehow, when pieces of gliadin course through the gut, cause the immune system to attack the walls of the intestine in a case of mistaken identity. That, in turn, causes fingerlike structures called villi that absorb nutrients on the inside of the intestines to atrophy, and the intestines can become leaky, wreaking havoc. Symptoms, which vary widely among people with the disease, can include vomiting, chronic diarrhea or constipation and diminished growth rates in children. The vast majority of people who have celiac do not know it. And not everyone who has the genetic mutations develops celiac. What worries doctors is that the problem seems to be growing. After testing blood samples from a century ago, researchers discovered that the rate of celiac appears to be increasing. Why is another mystery”. 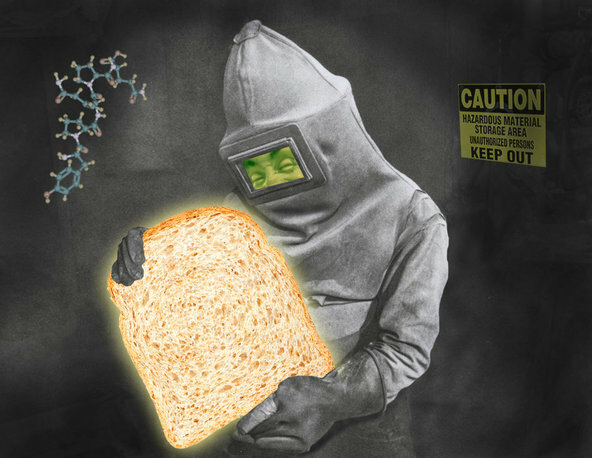 I do not believe there is a mystery here, it seems obvious that if we all feel better without grains…then it is toxic, a poison…not an allergy. I challenge you to try it for a month. Very few people go back to eating it after experiencing the difference in appearance, weight and energy!